Home > Blog > Eminent Domain: Can the Government Take my Land for Public Use? Property owners are often taken aback when they learn that the federal government, the State of Arizona, and even municipal governments have inherent power to take (or regulate) private property and convert it into public use. This governmental power is known as “eminent domain” or sometimes, “condemnation.” Eminent domain is rooted in the Fifth Amendment to the Constitution allowing the government to take private property for public use, provided that just compensation is paid to the property owner. Property rights subject to eminent domain include everything from subterranean minerals, to water, to the rights to use air space above the land. Cases about eminent domain generally deal with one of two questions: First, is the taking for a valid public purpose? And second, is the government offering just compensation for the taking? While this article is intended to give some general background about the ins and outs of eminent domain, it is in no way a substitute for legal advice tailored to your situation. 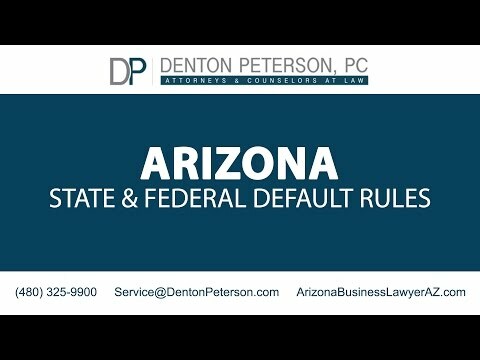 If you are in a situation where a government entity is trying to take your land, contact our Arizona Real Estate lawyers today. The law governing Eminent Domain has been shaped by the cases defining the limits of the government’s power. In the 1875 case Kohl v. United States, an Ohio landowner pushed back against the federal government for taking his land for the purpose of building a post office and custom house. The U.S. Supreme Court ultimately ruled in favor of the federal government, reasoning that eminent domain is necessary for governments to perform public functions and exist with perpetuity. Realistically, for governments to exist there have to be good road systems, airports, schools, public services, etc. However, private property rights are also a high priority under the law. If your property is targeted for condemnation, there may be options to stop the taking; or alternatively, you need to know how to get the most out of the forced condemnation of your property. A less obvious form of a taking occurs when a governmental entity passes a law that detrimentally impacts the value of a property, or even renders it useless. This is known as a regulatory taking or inverse condemnation. For instance, property owners have successfully recovered compensation for state laws precluding them from ever developing their property for the purpose of environmental protection. See Lucas v. South Carolina Coastal Council, 505 U.S. 1003, 112 S.Ct. 2886 (1992). A government taking of private property formally begins with the government entity filing a condemnation action against the private property owner(s) involved. Property owners then have a fair chance to challenge the taking based on the public use or errors by the governmental entity in following the proper procedural steps. Arizona eminent domain laws can be found in Chapter 8, Article 2, Title 12 of the Arizona revised statutes (A.R.S.). A.R.S. § 12-1111 lists out eighteen broad uses that qualify as justifiable public uses that can be exercised by “the state, a county, city, town, village, or political subdivision, or by a person.” This extensive list includes roadways, canals, telephone lines, flight paths, railways, and pipelines, to name a few. In reality, even if the public use is not clearly delineated by statute, courts often defer to governments in eminent domain matters to encourage perpetual and efficient services to the public. In Arizona, under A.R.S. § 12-1116, before any kind of formal condemnation proceedings are initiated, the governmental entity must get one or more appraisals of the property in question and make a written offer to purchase the property. It is not uncommon for governmental entities to give attractive offers in order to avoid the time and legal fees involved with litigation. If the offer is rejected, then the government will probably file a lawsuit, initiating formal condemnation proceedings. After filing a complaint, the governmental entity may apply to the court for an order permitting the governmental entity to immediately take possession of and use the property in question for the public purpose hoped for. The court will look at the facts of the case and consider whether the government taking is proper. This process includes determining whether the government has a valid public purpose for condemning the property and establishing a reasonable value of the property to be paid to the owner. Just like any other civil court proceeding, parties can agree to negotiate and settle at any point during the proceedings. Choosing to settle and to give up property can be very difficult for the property owner. In many cases, property owners have invested a great deal of time and capital into a property that may not be fairly reflected in the appraised value of the property. In other cases, property has intangible or sentimental value to the property owner that is not accounted for. Or, the property owner may completely disagree with the public use being advanced by the government. It is important to put aside personal considerations and to correctly evaluate when a defense to a taking is feasible and to compare the upside potential of the case with the costs of litigation. In a case where a property owner successfully defends against a taking, an award of attorney’s fees and costs is generally available. The first issue to explore is whether the government has a proper public purpose for the taking. In one case, the City of Mesa attempted to condemn corner lot being operated (in a somewhat unsightly way) as a brake shop in connection with a redevelopment project of the area. Bailey v. Myers, 206 Ariz. 224, 76 P.3d 898 (App. 2003). The public use advanced by the City was to use the condemned property as part of a redevelopment plan intended to provide and attractive and revitalized “gateway” to the downtown area. The plan called for a transfer of the property to private developers to build a privately owned retail center with stores, restaurants, and office space. The owner of Bailey’s Brake Service challenged the taking arguing that his property was being taken for private use rather than public use. The Superior Court sided with the City, but was overruled by the Arizona Court of Appeals. Thus, Bailey’s Brake Service is still in business and the City’s plan to redevelop the area (and boost its tax revenue) was thwarted. If the government clearly has a proper public purpose for the taking, it’s time to focus on whether they are offering just compensation for the taking. Just compensation is generally determined by the fair market value of the property, which is a subjective question of fact. In many cases, the government’s appraisal has flaws. It’s critical to obtain a credible competing opinion of a qualified appraiser in order to effectively negotiate, or if necessary litigate, this question of fact. A skilled Arizona real estate attorney can help strengthen the credibility of the appraiser with the more favorable opinion of value and attack the credibility of the opinion of value being advanced by the government. In many cases, only a portion of the property is taken, or property is detrimentally affected by the taking of an adjoining property. Many governmental agencies offer financial assistance and other resources to property owners affected by a taking.